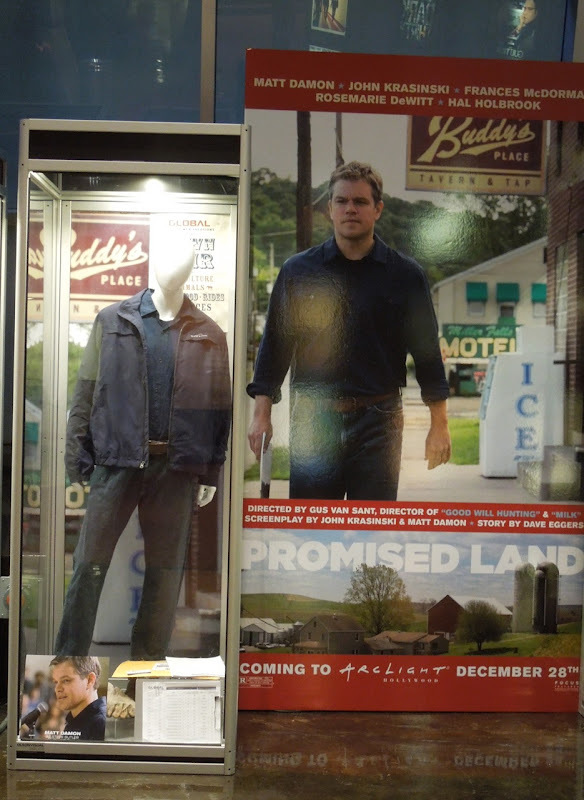 In 2013's Promised Land, Matt Damon plays a corporate salesman for a natural gas company who arrives in an economically hit small rural town with his partner (Frances McDormand) to negotiate the drilling rights for his company. 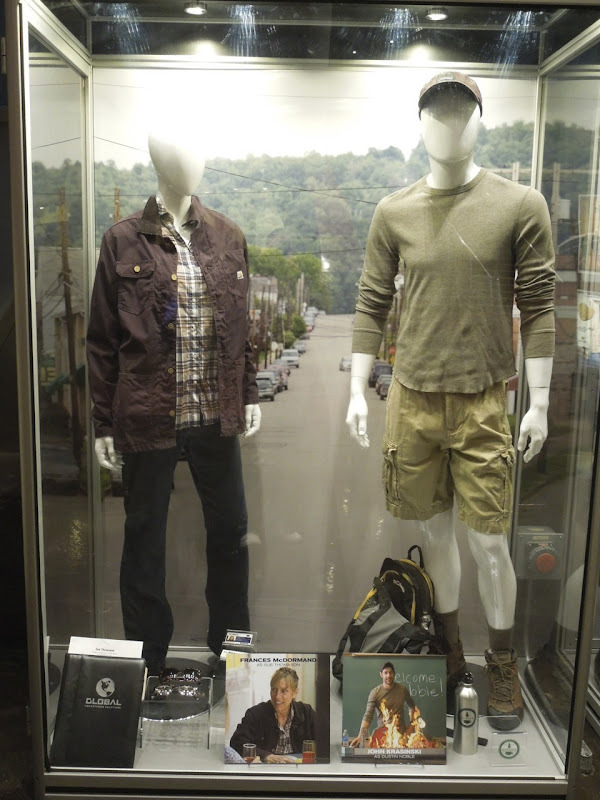 His life is changed when he discovers not everyone is as happy to accept their offer as they first thought. 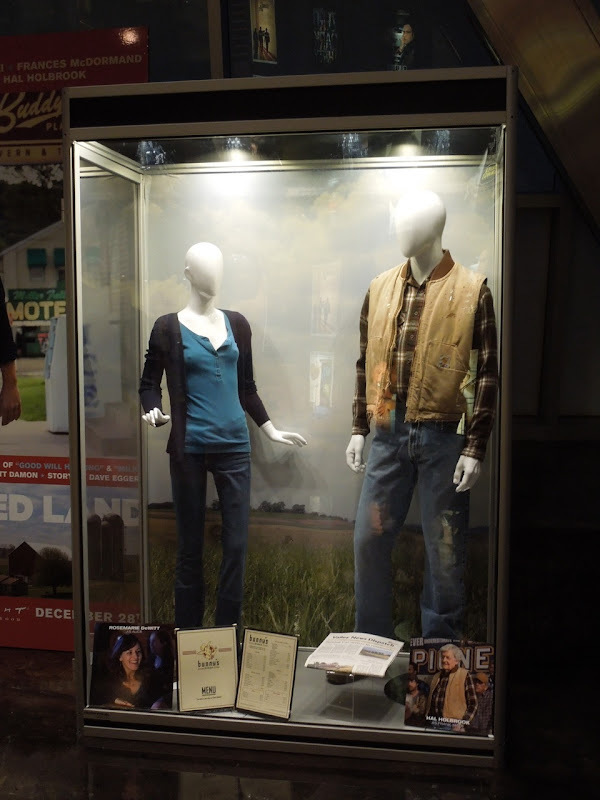 This extensive costume and prop display for the modern day drama, which features Costume Design by Juliet Polcsa, was photographed on display within the ArcLight Hollywood cinema foyer on December 21, 2012. 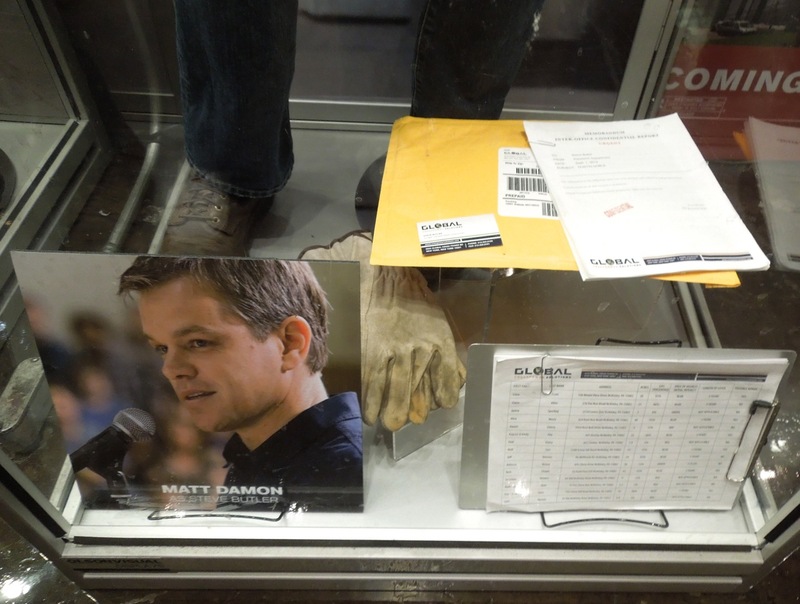 In the movie Frances McDormand plays Matt Damon's sales partner, 'Sue Thomason'. 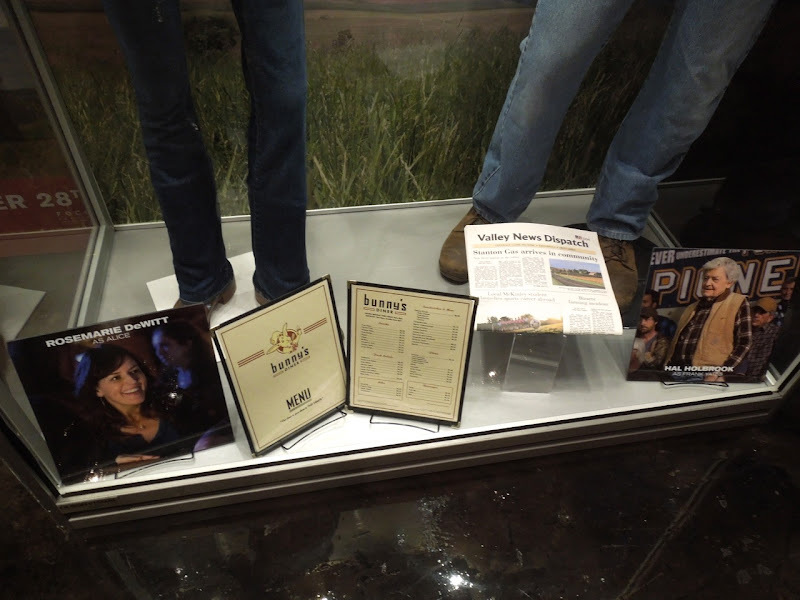 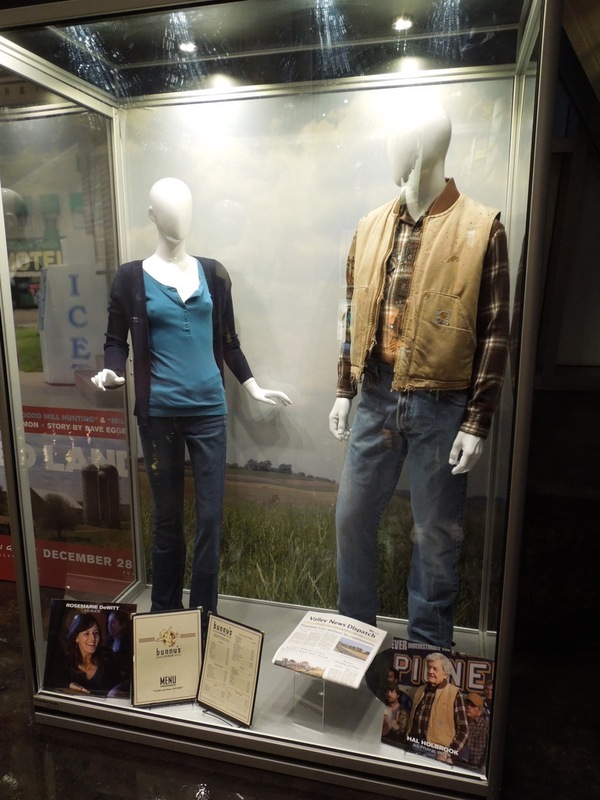 These clothes she wore in the movie were displayed beside her prop I.D. 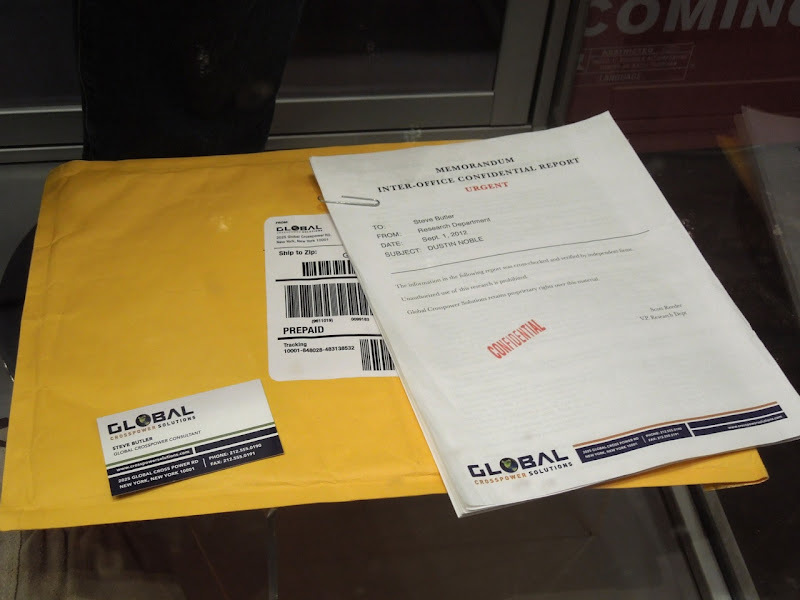 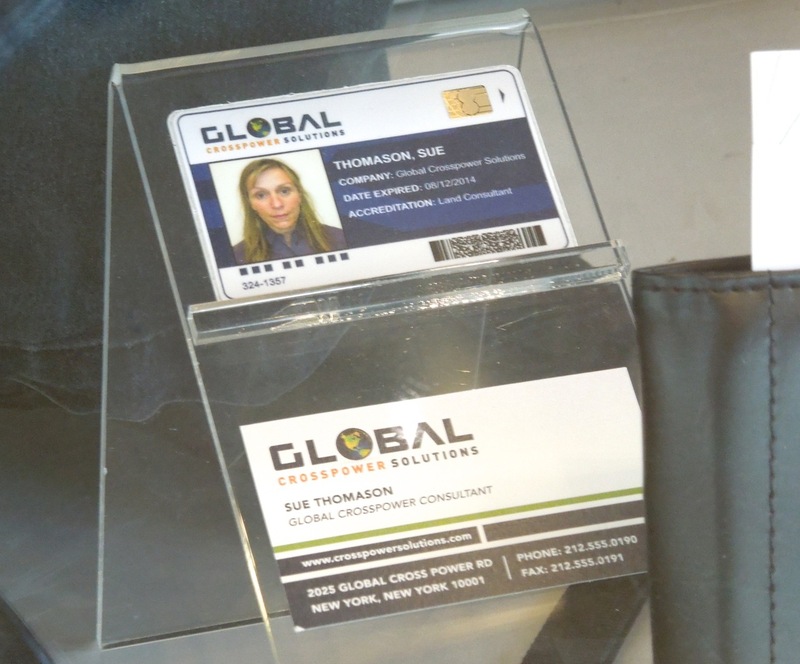 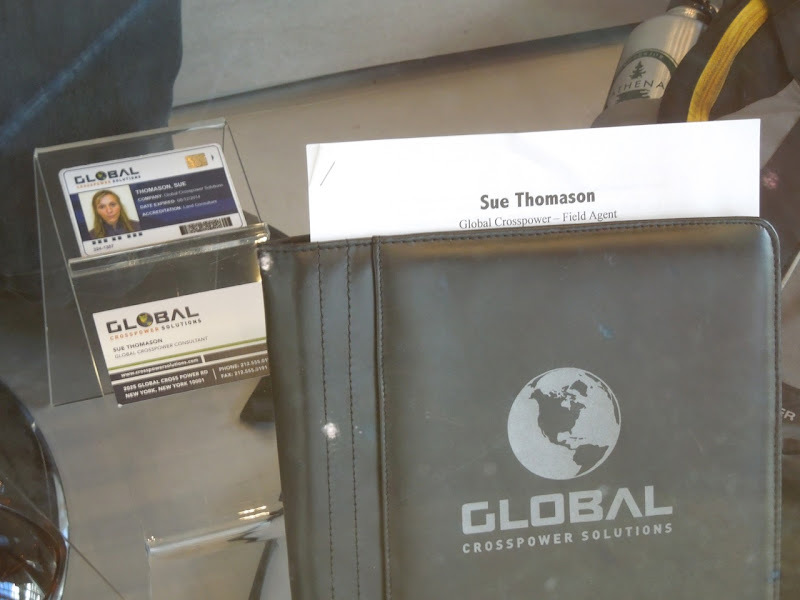 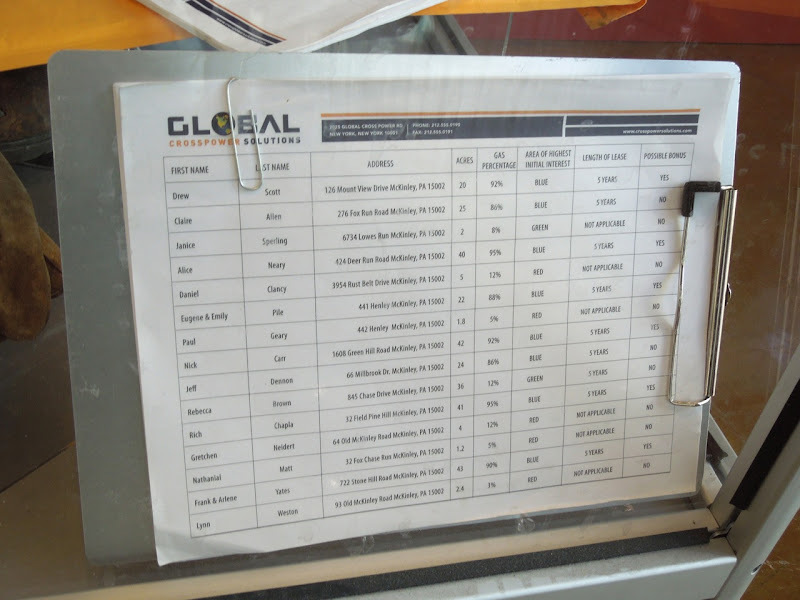 cards, sunglasses and Global Crosspower Solutions folder. 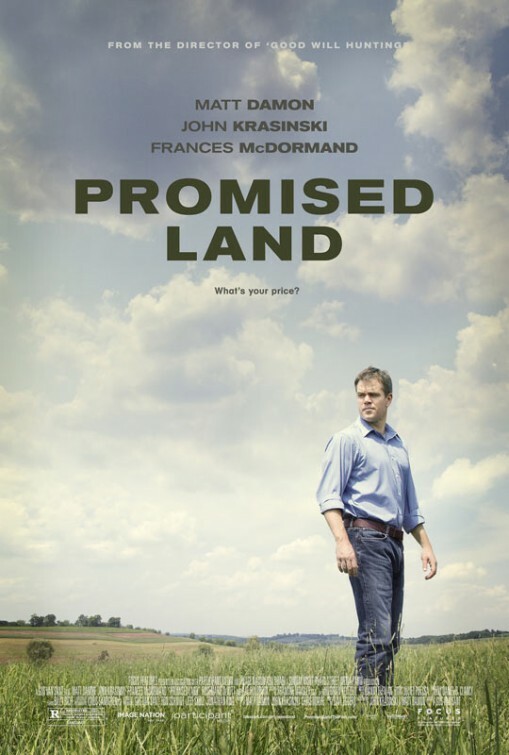 John Krasinski stars as 'Dustin Noble', one of the locals opposing the energy company's drilling proposal. 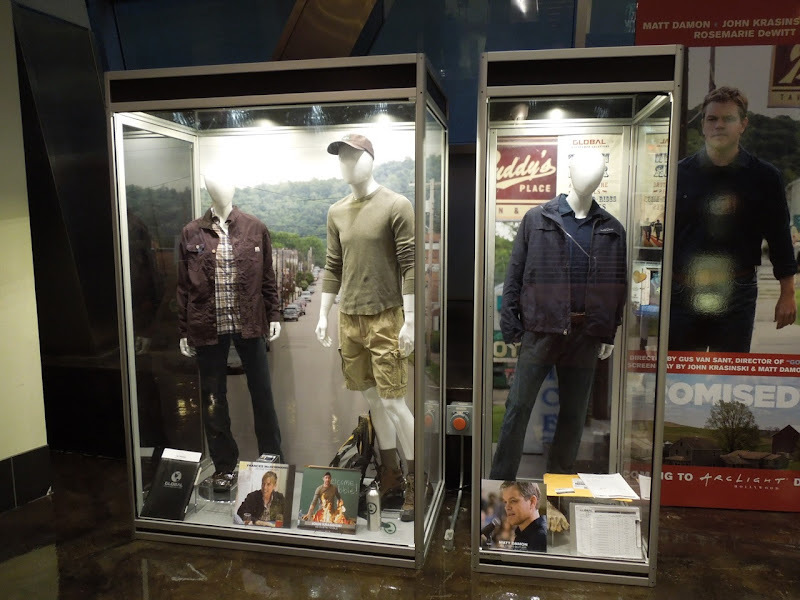 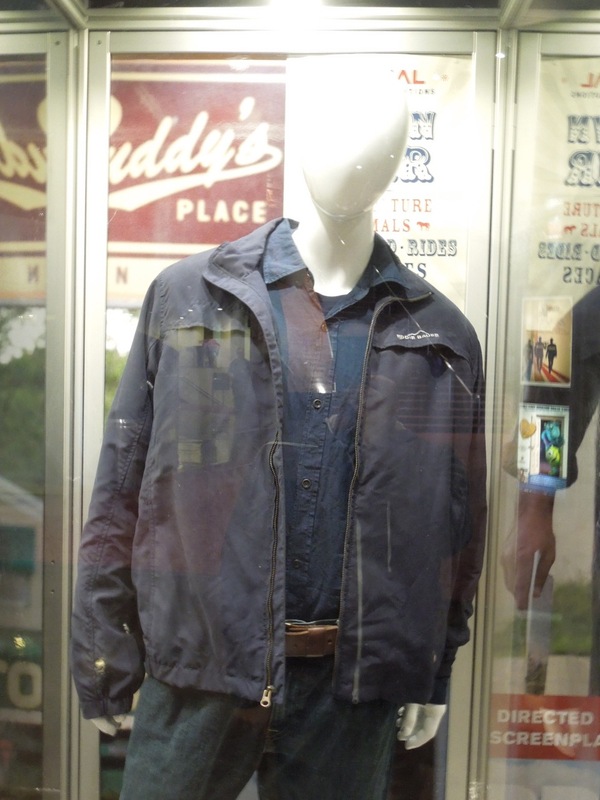 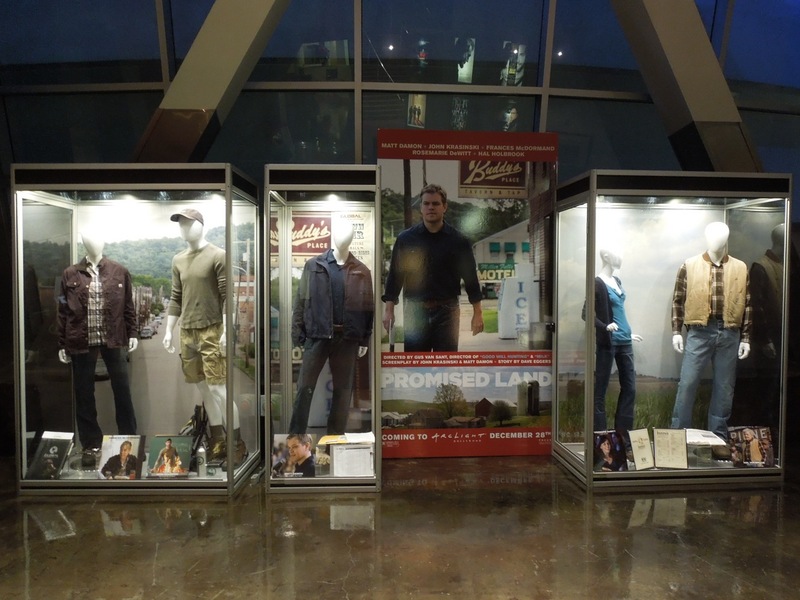 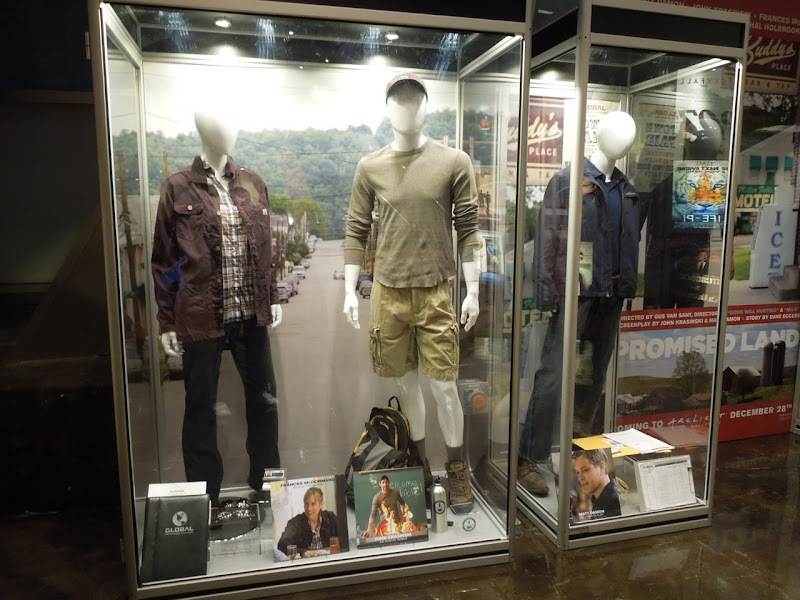 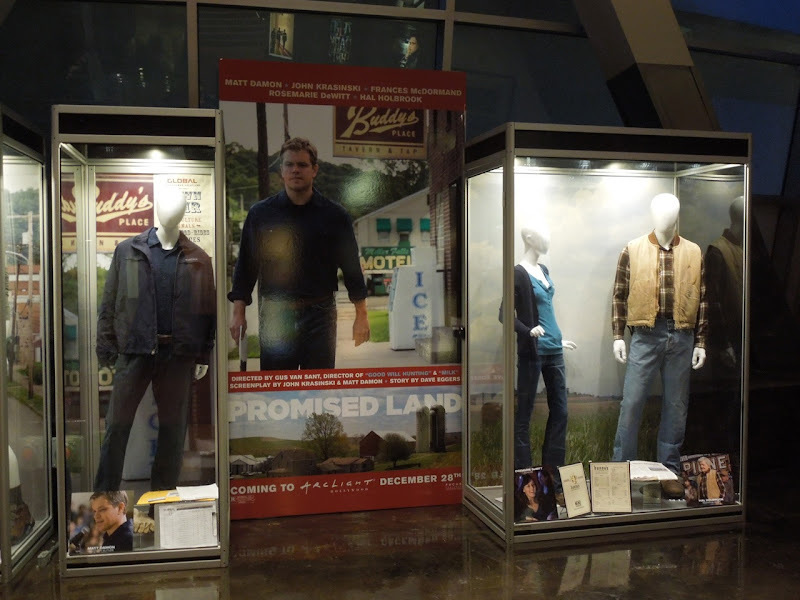 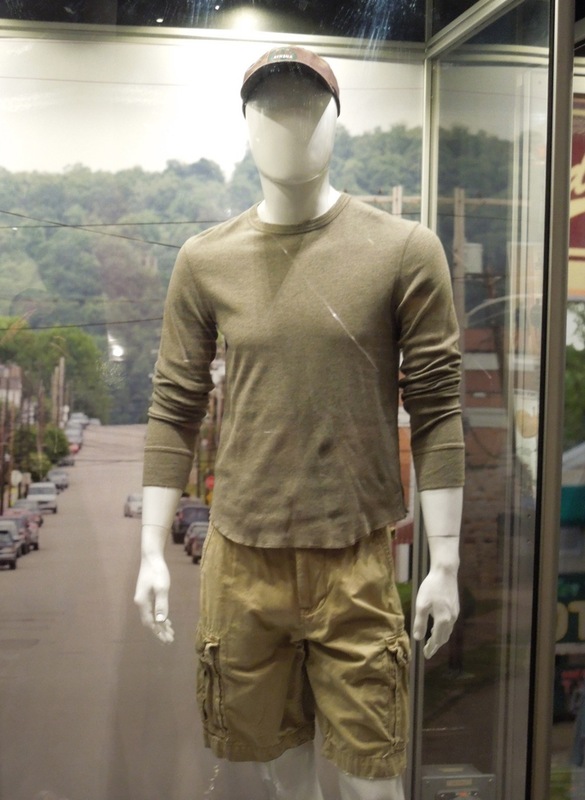 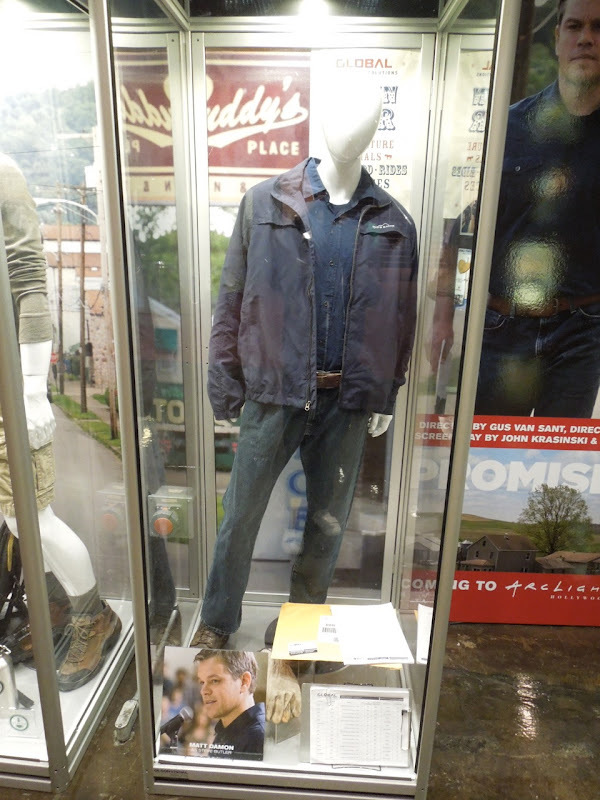 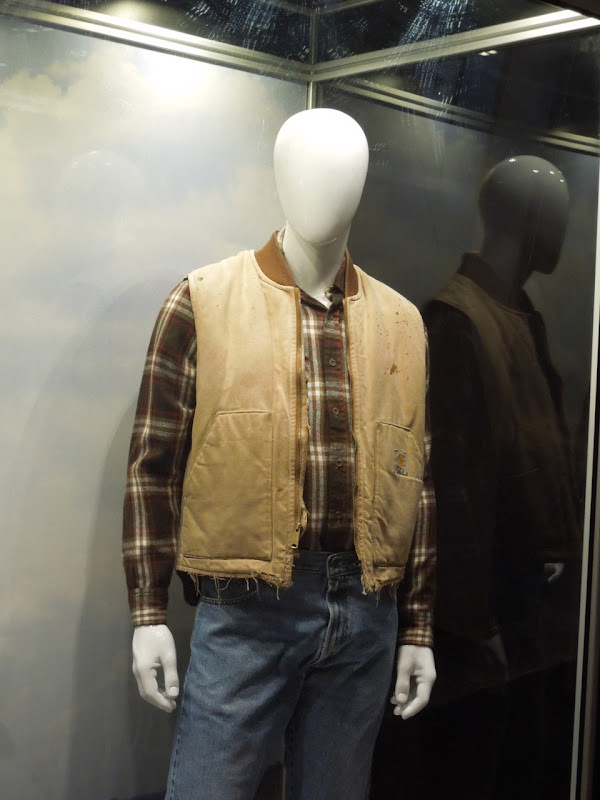 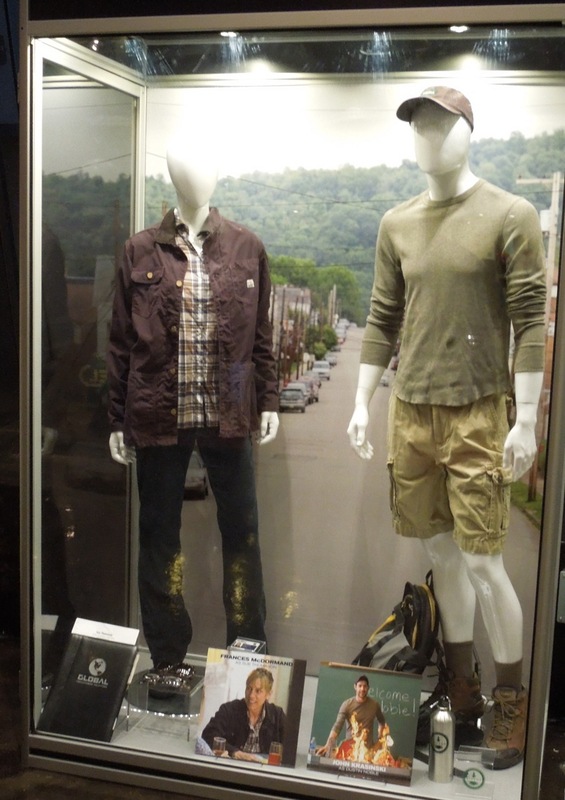 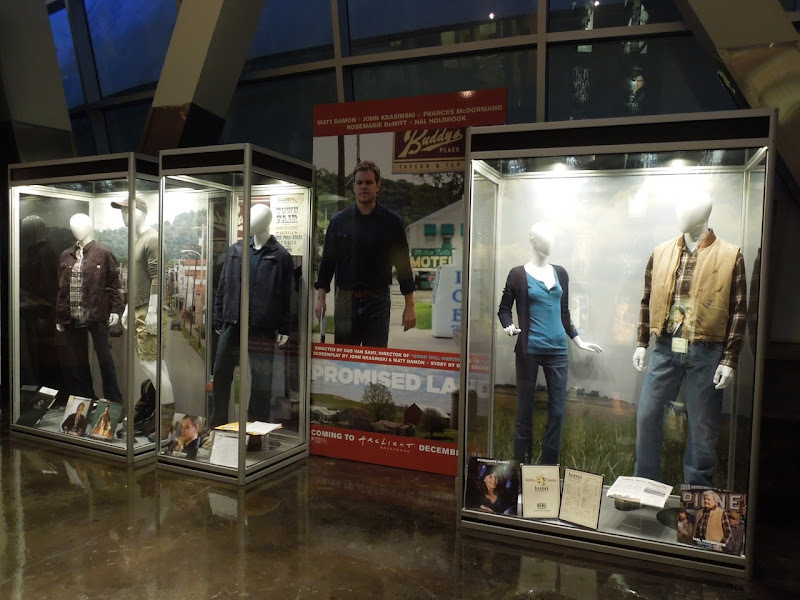 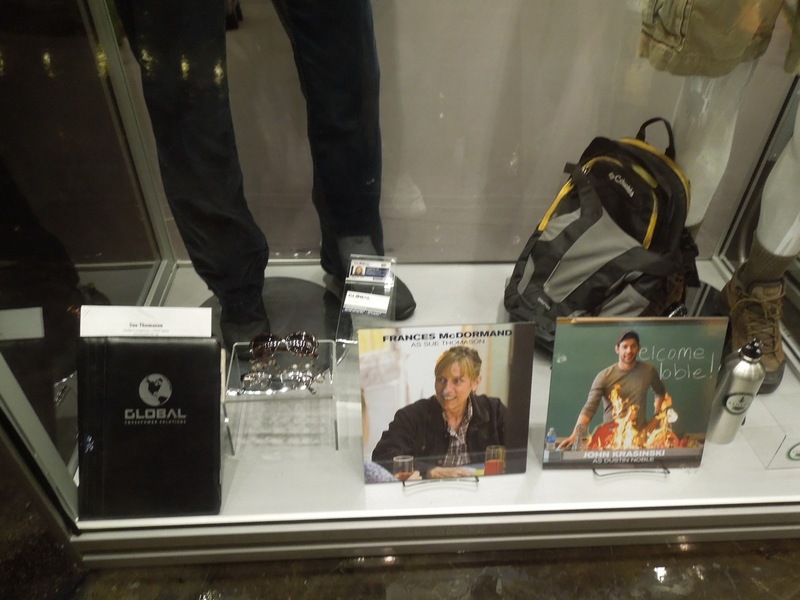 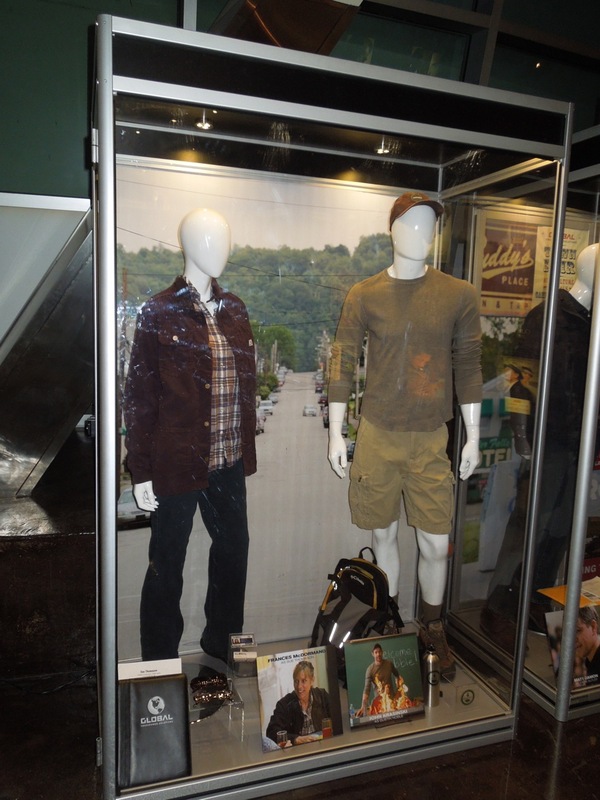 Also on display were props used and one of the outfits worn by Matt Damon as ace salesman 'Steve Butler' in the film. 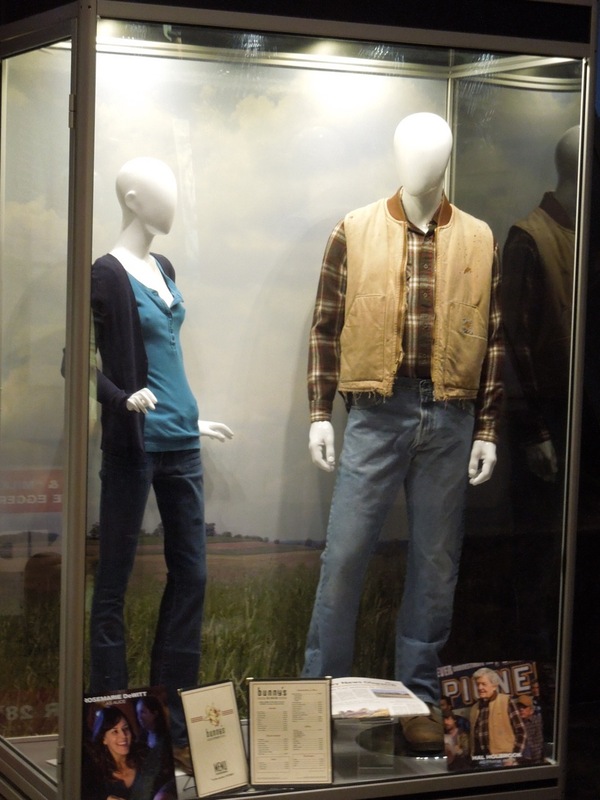 This final duo of costumes were worn by Rosemarie DeWitt as McKinley grade school teacher (and love interest for Matt Damon's character) 'Alice' and Hal Hoolbrook as science teacher 'Frank Yates' who voices his objections to the drilling. 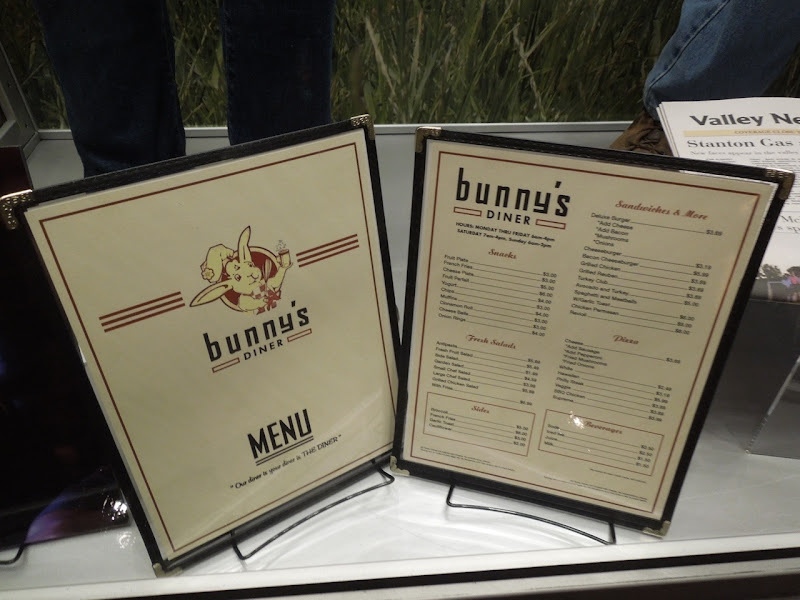 In addition to all these great costumes, the exhibit also had lots of props from the film including diner menus, business documents, a local newspaper and more besides.